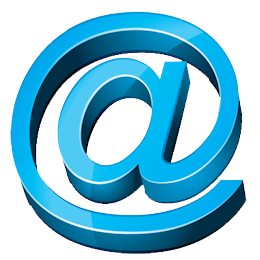 Email - We can provide email accounts associated with your domain. This is far more professional for your business or organisation than using a Hotmail, Googlemail or ISP provided email address. For just £20 per annum you can have up to 5 prefixes (e.g. sales@). Need more than 5 prefixes? Then it’s just £20 for up to 5 more! SSL Security Certificate - SSL (Secure Sockets Layer) is the standard security technology for establishing an encrypted link between a web server and a browser. This link ensures that all data passed between the web server and browsers remains private and integral. It was originally developed to allow secure online payments and banking. Data, like card details and passwords, is sent encrypted so that it cannot be intercepted and used fraudulently. When you visit a website with an SSL Certificate the website address has the prefix https:// rather than http:// and a 'padlock' icon appears in the browser bar where the domain is displayed. Search engines like Google now rank websites with SSL higher than those without and browsers display a warning when visiting a website that does not have SSL. Although originally developed for websites taking payments it is now recommended to have one even on brochure websites. 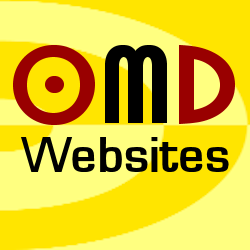 OMD Websites can add a SSL Certificate to your website from just £10 per annum. Extra Pages - In some instances five pages may not be sufficient to say everything you need to say on your website. Extra pages are just £50 each. Non .co.uk domains - We can also supply .com, .biz and .net domains for a small additional premium of £10. Other suffixes are available but may cost more or have restricted usage; we can advise you which is best for your business. Multiple Domains - It is possible to point more than one domain at a website if required. Additional domains cost £20 per annum for a .co.uk, other suffixes are subject to the premium mentioned above. Booking Enquiry - If you run a holiday let, holiday caravan for hire etc we can provide a convenient method for visitors to check availability and make a booking enquiry via your website. With email notification each time a new enquiry is submitted and a simple to use online management system where you can not only view bookings but add those made through the website, this is the perfect solution for your business for just £50. Blog - Get interactive with your visitors. Post regular news items or articles and get comments from users of your website for a set up fee of just £25.